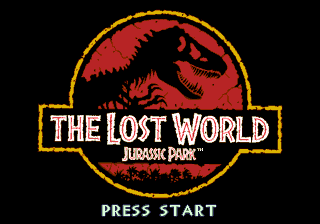 The Lost World: Jurassic Park is a Sega Mega Drive game developed by Appaloosa Interactive and published by Sega. It was released for the console in 1997, and was the last Mega Drive game to be published by Sega (aside from compilations). The game should not be confused with others with the same name. This one is an isometric shooting game. This game or perhaps FIFA Road to World Cup 98 was the last game to be released in Europe. Sega Special Thanks to: Shuji Utsumi, Bernie Stolar, Ryoichi Hasegawa, the Seedy Crew, Steve Booth, Connie B., Karen B., and Rick W.
Main article: The Lost World: Jurassic Park (Mega Drive)/Magazine articles.